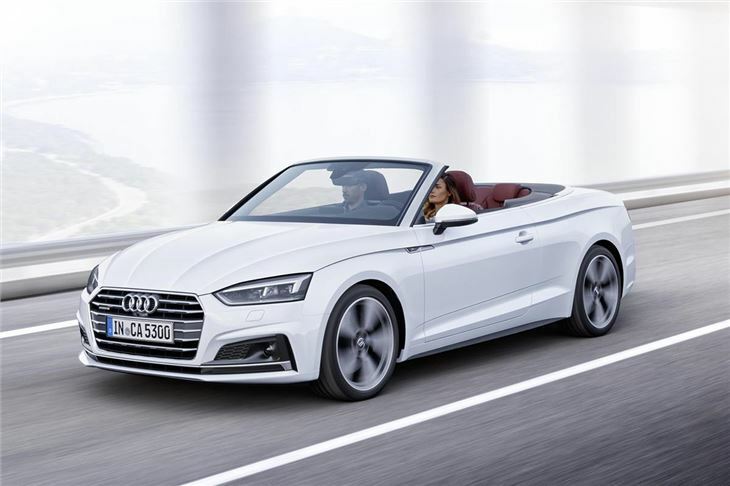 Audi has revealed the all-new A5 Cabriolet, which has an electrically-operated fabric roof that can be folded and unfolded at speeds up to 31mph. It goes on sale in early 2017 and is likely to cost from around £40,000. The fabric roof follows the lines of the A5 coupe when in place and is fully sound insulated as standard. Folding it down takes 15 seconds with one touch of a button, while folding it back up takes 18 seconds. Audi promises the new model is more spacious than its predecessor, plus it has better rigidity despite being lighter, so it should be more agile to drive. 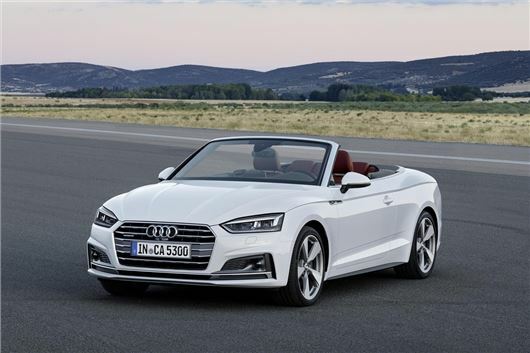 There is also an S5 Cabriolet, which is powered by a 354PS V6 petrol engine and has the eight-speed transmission and quattro all-wheel drive as standard. 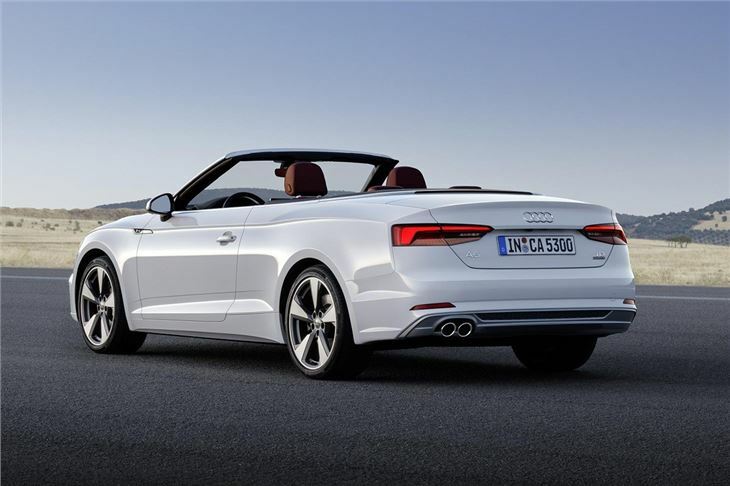 The S5 also gets unique styling elements including a rear diffuser and quad exhaust finishers. The trim structure follows that of the Coupe, with SE, Sport and S line versions. SE and Sport models come on 17-inch alloy wheels, while the S line gets 18-inch alloys, along with LED headlights. Standard equipment includes three-zone climate control, cruise control, Audi Drive Select, MMI with Smartphone interface and autonomous emergency braking. Smartphone connectivity options include Android Auto and Apple CarPlay functionality, plus Qi wireless charging. 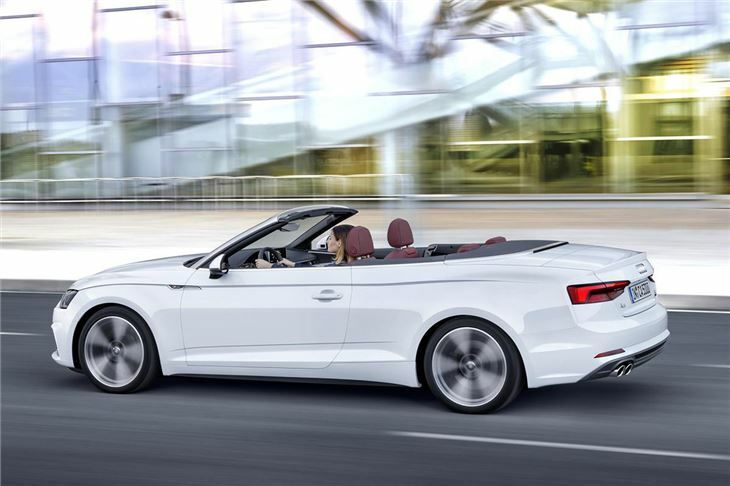 Audi will also offer advanced safety technology, including adaptive cruise control that can stop and go automatically in traffic jams and will assist with steering on well-surfaced roads. The car can also offer economy advice based on GPS data. This can, for example, tell the driver to lift off the throttle when approaching a lower speed limit or roundabout that is out of sight. 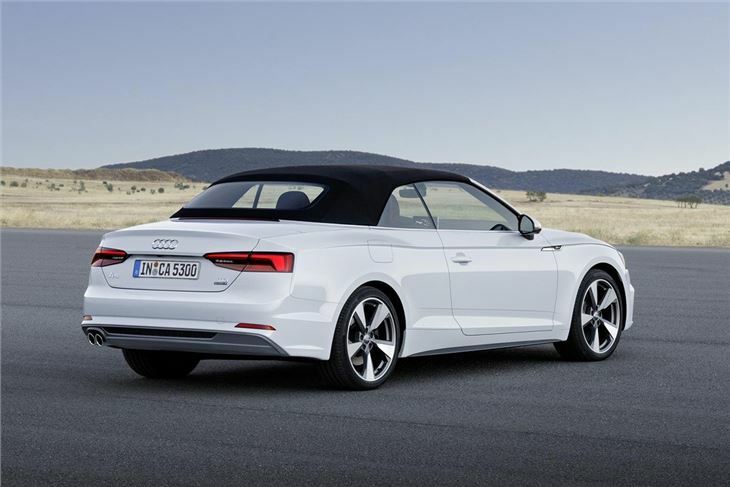 More details about specification, price, economy and emissions will be announced nearer March 2017, when the A5 Cabriolet goes on sale in the UK. 'Ladies (of a certain age) that Lunch' will buy it in droves. Blokes (of all ages) will avoid in droves.